UBCO Motorsports is a Formula SAE team composed of a group of dedicated students, each with a unique set of skills and a willingness to learn. We fully design and build a open-wheeled Formula car which complies with the 182 page FSAE Rulebook over a period of 4 semesters, on top of our teams current academic workload, with the continuous goals of competing in the SAE Michigan and SAE Lincoln. The concept behind Formula SAE is that a fictional manufacturing company has contracted a design team to develop a small Formula-style race car. The prototype race car is to be evaluated for its potential as a production item. The target marketing group for the race car is the non-professional weekend autocross racer. Each student team designs, builds and tests a prototype based on a series of rules whose purpose is both to ensure onsite event operations and promote clever problem solving. 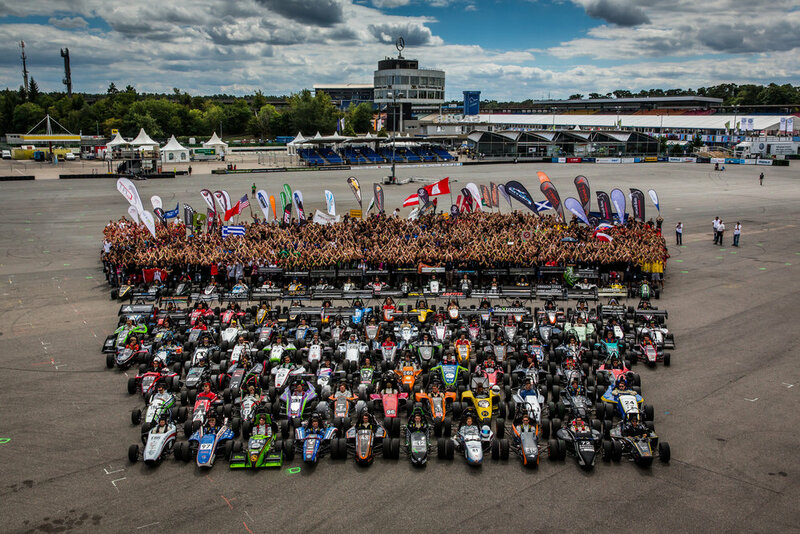 FSAE Alumni are sought after by many different companies because they know the amount of work that goes into it. At competition, companies such as Ford Motor Company and Porsche take resumes and conduct on-track interviews. Outside of the automotive industry, the budgeting and communication skills as well as the design, personnel, and project management experience developed in our club makes our members the top contenders for internship and full time positions. For sponsors, there is no other competition that allows for more exposure, benefits, and access to a massive talent pool then FSAE. The reward of becoming a sponsor and donating resources to a team of passionate youth who need it to complete this fantastic project has no parallel. The first firing of the UBCO Motorsports' CBR 600RR engine. We would like to take this moment to thank all of our generous sponsors for making this car possible, and to all of those who have supported us along the way. Although we ran into some engine issues at comp, it gave us the opportunity to understand where we went wrong and where we can improve for next time. Although success is amazing, there is more to learn from failure and we look forward to bringing our best platform to date at Michigan!